Coneflowers like these ones grow in one of my flowerbeds under a big oak tree. 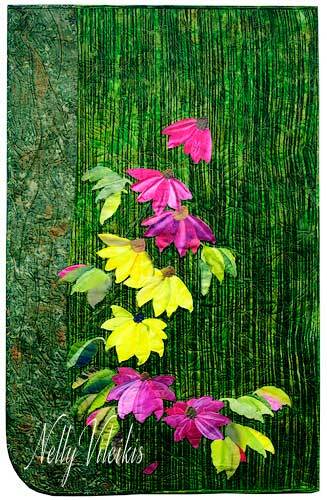 The flowers and leaves were made from fabrics I hand painted in a class with Phil Beaver. Each petal and each leave were carefully fussy cut making every one unique, just like in nature. 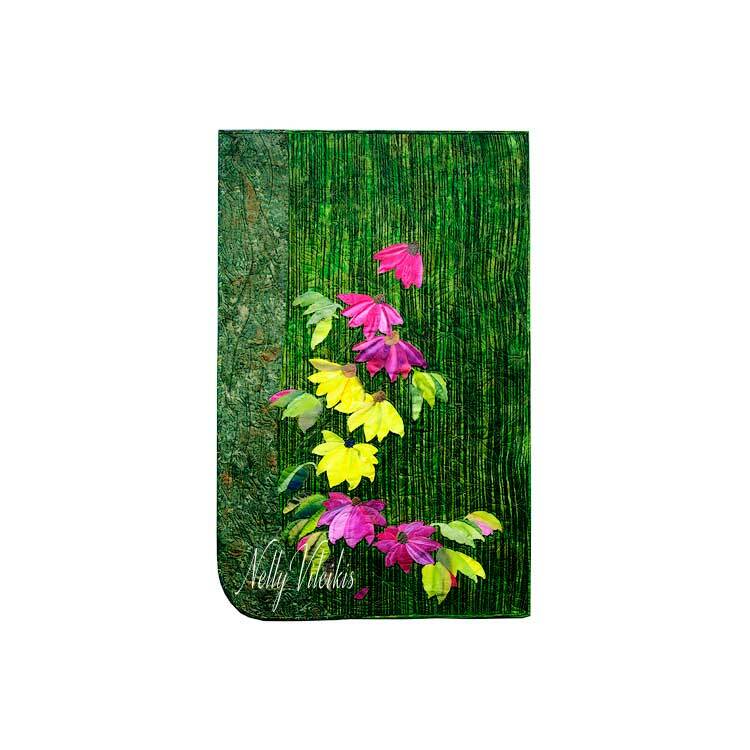 The tree trunk is a textured batik. This fabric was manipulated by hand and machine to make it appear as corrugated bark. Awarded a Third Place Ribbon in the Art category at Quilts 2009 at Lake Farmpark in Kirtland, Oh. Juried and exhibited at the American Quilters Society Des Moines. October 2011.